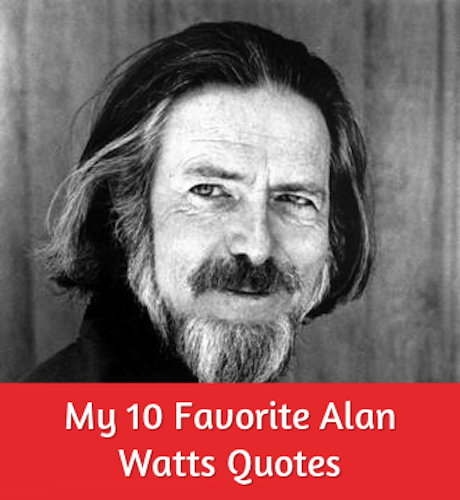 My 10 Favorite Quotes from Alan Watts + Rare Recording 50% off. Alan Watts, known for spreading Eastern philosophy in the West via his books, lectures and radio appearances, was a maverick British philosopher (d. 1973) who moved to the US in 1938. 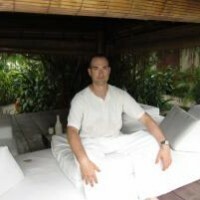 His life story includes becoming an Anglican priest, blending Christianity with Eastern mysticism, experimenting with psychedelics, teaching Zen, as well as becoming a Fellow at Harvard University. “It’s like you took a bottle of ink and you threw it at a wall. Smash! And all that ink spread. And in the middle, it’s dense, isn’t it? And as it gets out on the edge, the little droplets get finer and finer and make more complicated patterns, see? So in the same way, there was a big bang at the beginning of things and it spread. And you and I, sitting here in this room, as complicated human beings, are way, way out on the fringe of that bang. We are the complicated little patterns on the end of it. Very interesting. But so we define ourselves as being only that. If you think that you are only inside your skin, you define yourself as one very complicated little curlique, way out on the edge of that explosion. Way out in space, and way out in time. Billions of years ago, you were a big bang, but now you’re a complicated human being. And then we cut ourselves off, and don’t feel that we’re still the big bang. But you are. Depends how you define yourself. You are actually—if this is the way things started, if there was a big bang in the beginning—you’re not something that’s a result of the big bang. You’re not something that is a sort of puppet on the end of the process. You are still the process. You are the big bang, the original force of the universe, coming on as whoever you are. For a limited time only, Elephant Journal readers save 50% off his rare digital recordings, available now at our mindful marketplace along with hundreds of other eco products. Buy now for only $9.95. If you have to pick fault in others it highlights your own insecurities, take a look at yourself! My favorite of the 10 is "Zen is liberation from time". Yes, just sit, just be.